At Hoover and Associates, the WAY we do business is as important to us as WHAT we do. Working as a team, we partner with you to determine your business’s needs, goals, and constraints. We research the marketplace, working with over 90 providers, and develop customized employee benefit solutions that emphasize value, innovation, convenience and integrity. At Hoover and Associates, Randy has brought together a team of knowledgeable and experienced professionals who are committed to providing the sound guidance, vision, and customer care that are required in every phase of successful planning and implementation of benefits solutions. We are dedicated to building a lasting relationship with our clients and offer unique customer support tailored to their specific needs. We provide a comprehensive and educational website, custom Employee Benefits Binders, employer and employee newsletters, and informative “Lunch and Learn” Seminars. In addition, we also create custom client website pages with company specific benefit pages for employee access. Our goal is a dedicated customer service and we remain committed to your success. If you have any questions or would like to schedule a meeting to discuss your individual needs, please call us at 248-298-4000 or email at rhoover@hooverassociates.com. We would be happy to help and look forward to working with you! 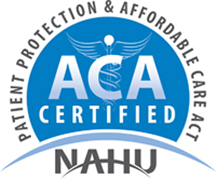 Hoover and Associates has completed all training and is an accredited agent by the National Association of Health Underwriters as a representative of Health Insurance Plans under The Affordable Care Act. AND IT’S EFFECTS ON YOU AND YOU BUSINESS? HAS SOMEONE YOU KNOW RECEIVED A HEALTH INSURANCE CANCELLATION LETTER OR SIGNIFICANT PREMIUM INCREASE? DON’T PANIC! WE CAN HELP! YOU DO NOT HAVE TO PURCHASE YOUR INDIVIDUAL HEALTH INSURANCE THROUGH THE GOVERNMENT EXCHANGE!! We are dedicated to helping you find the coverage right for your health, your budget, and your future. We are committed to our customers and stay on top of the ever changing marketplace and Health Insurance options available to you. Put our team of experienced professionals to work for you. Insurance and Financial Services, Inc.